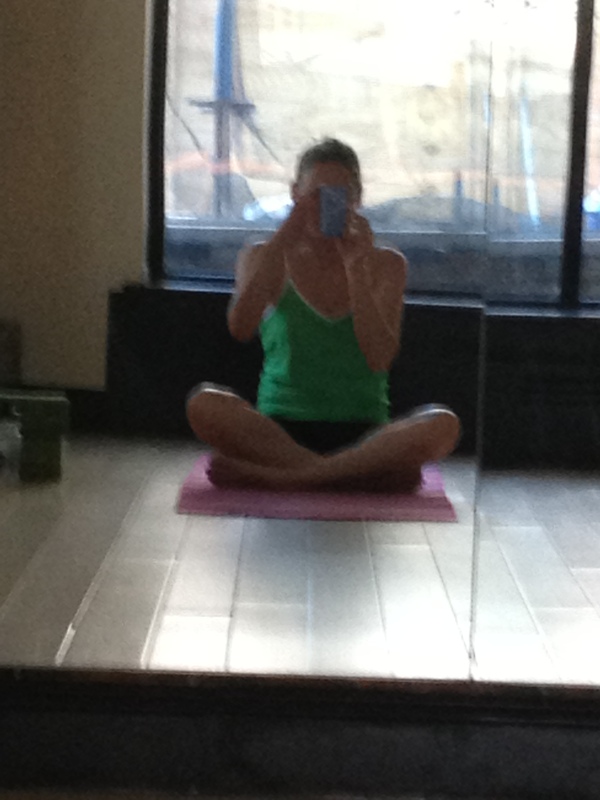 Yesterday I had an opportunity to test out a new yoga mat we are selling at the studio. It’s the Elite Hot Hybrid by Kulae. I normally just use my regular yoga mat for hot classes, but I definitely slip slide all over the place when things start getting sweaty. A lot of people lay a towel over their mat, but that bunches up and doesn’t stay put which drives me even crazier than the sweat slide. 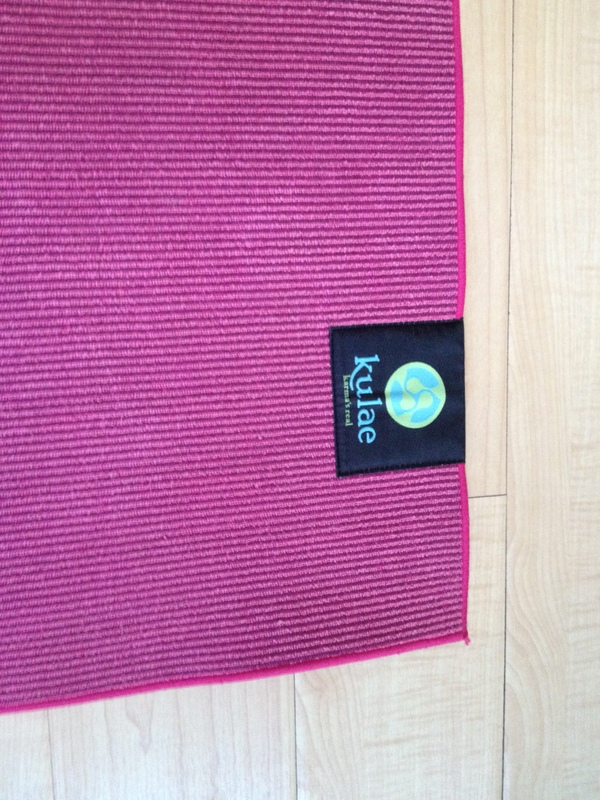 Another option is to use a Yogitoes towel on top of your mat. I haven’t tried this, and while I know if will stay put better than a regular towel, I just can’t get past the double layer situation. I take the worst mirror pictures! Enter the hybrid of a towel and mat…seems like a win win right? First of all, I like the color varieties. I used a pink one pictured above, but they are also available in blue, green, and black. I like the feel of it on my hands and feet and it’s much less likely to give me the mat burns I sometimes get on the top of my feet. I used it through the entire one hour class and didn’t slip once! Overall it was a great mat experience, but I will break it down into positives and negatives to make it clear. Final Verdict: I really liked it and would totally buy one if I had an extra $88 to spend on a mat…but as we all know- any extra cash goes to skydiving 🙂 However, if you are in the market for a HOT mat, this is a fantastic option. PS…Happy B-day to my mom!! She arrives tonight and I cannot wait!! Lot’s of excitement planned so stay tuned! !